…on a mild morning in May, the sleek curves and understated design of the LS 400 were finally revealed to a throng of reporters on the lawns of the company’s offices in none other than Cologne, Germany – home turf of some of its fiercest competitors. The decision was a savvy maneuver. The unregulated motorway speed limits in Germany made it the perfect spot for baying reporters to road-test a sports car that would put Japan on the automobile-manufacturing map. And the move paid off. One journalist compared the soundlessness of the engine creeping over 150 miles per hour to a cat stalking its prey. 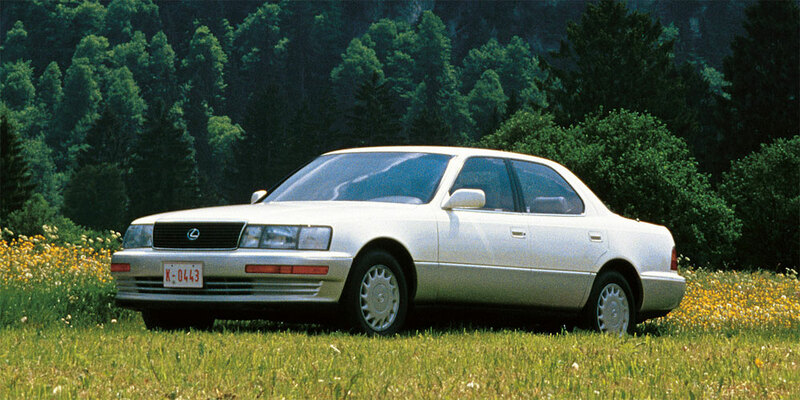 Much is made of how the LS debut in 1989 changed the course of automotive luxury for the better, but this move shows just how confident Lexus felt about their new vehicle. Love this story. To celebrate the brand’s 25th anniversary, Lexus International has created a montage of twenty-five pivotal moments in a beautifully assembled website. Over the next couple weeks, I’m going to feature a few of my favorite moments. Jexec15: Can't for the next generation LS that will detonate an atomic bomb the luxury auto industry segment!